The photo seems to feature a heliac arc on the left side? It's definitely not distinguishable without unsharp masking. Beautiful photo of a typical snow gun generated appearance. With that Parry there should be helic arc. It seems there is also Moilanen arc in Trzicky image. What was the lens focal lenght? I noticed the same thing in the artificial light halo. 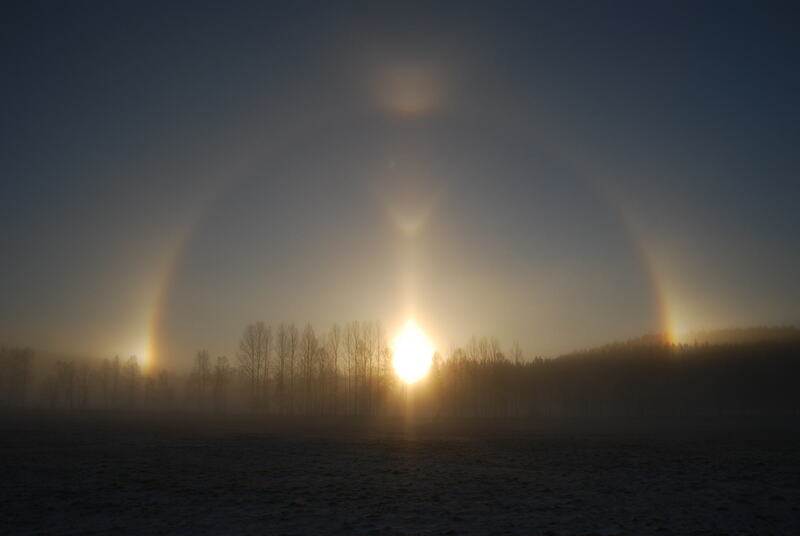 I can also see parhelia in his photo as well.